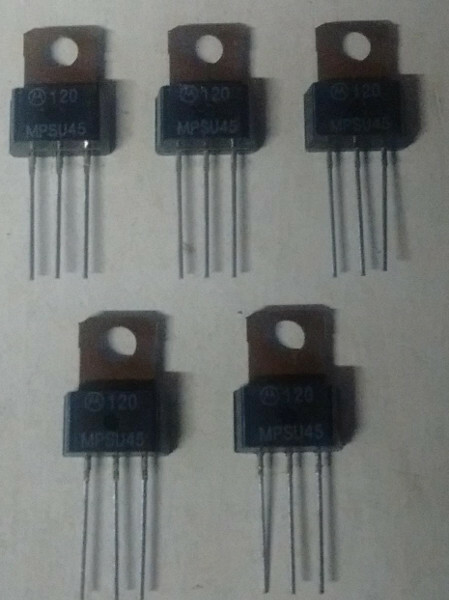 Motorola MPS-U45 Transistors - NOS - 10 Pack (MPSU45) These are NOS transistors which are used on ALL Gottlieb / Mylstar / Premier System 1, System 80, System 80A, and System 80B pinball machine lamp / solenoid driver boards and some auxiliary driver boards (lamp chaser boards). There are even some System 3 Gottlieb machines which use NDS-U45 and / or CEN-U45, and these are a great substitute. Price is for 10 transistors total. Shipping is free anywhere in the continental US. For foreign orders, please contact us directly for a shipping total, and do not use the checkout system.